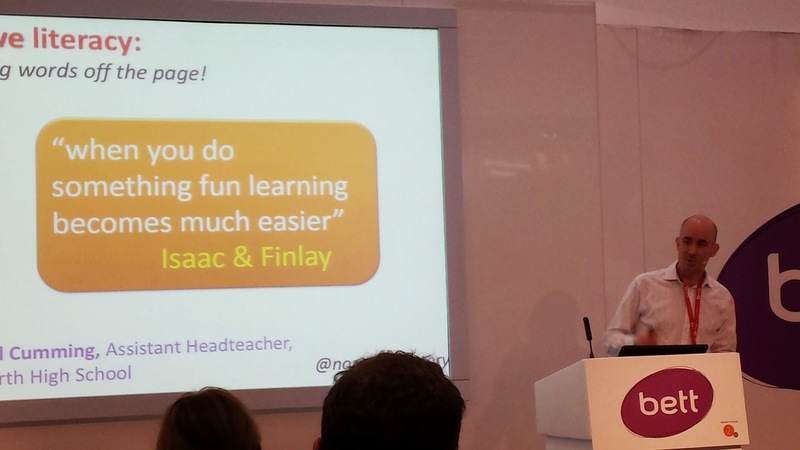 Thanks to the exhibitors and speakers at BETT2015. I really enjoyed my day there on Friday 23rd January. Really worthwhile downloading the BETT app onto my phone, scrolling through the schedule and marking favourites. 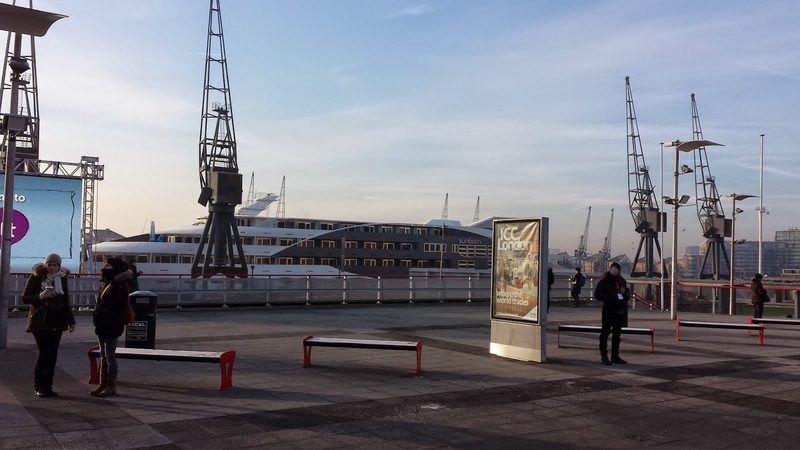 The Excel London very easy to get to. Waterloo, Jubilee line, change at Canning Town, then two stops on the DLR to Custom House. Really helpful tube staff telling you to go to the middle of the platform. Not as warm as Olympia.. kept coat on! I queued up before 10am .. noticed lots of people having coffee casually at the tables and realised why. Doors open, everyone just piles in!! Met friends at The Fox lower bar... cosier than the centre. 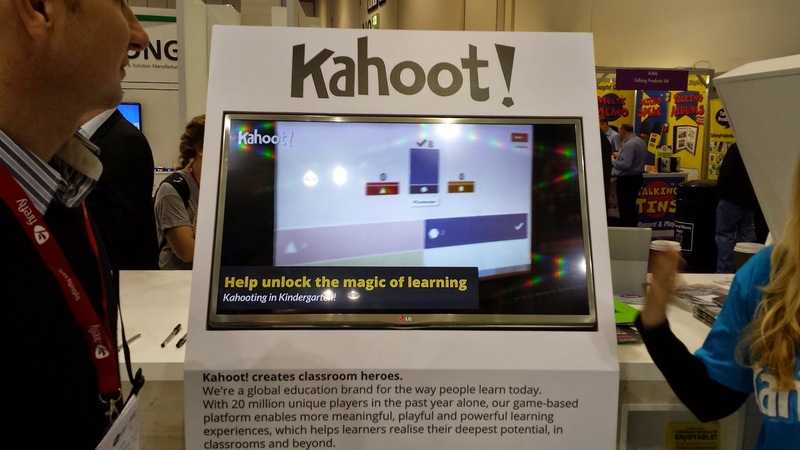 Kahoot - fantastic free app from Norway .. for mobile apps or fixed PCs. The video was brilliant.. focussed on the reaction of the students of all ages! E-factor: Story-based computer simulations. A Polish-based company/. Looks great! Pearson - we were looking for advice about content to add to Fronter. Anthony told us that Pearson is organising 'ready-made' rooms. Not yet there for ML - we may be able to help. Sonocent audio note taker - I need to look at the this more to understand fully what it does. I really liked the stand! NASEN - a must for SEN. Join the association. Good quality regular magazine, High quality conference. Units of sound Online - Seems to be a really good way of getting specialist support for pupils who need help with literacy, especially at a time when schools may have to be reducing staffing. Really nice to meet Maria Mahoney again, and thanks to Clare Effingham who explained it all to me. Zumos - looks like a really good resource to promote 'well being'. Business model makes it free at delivery. Exampro - as recommended by Bertram Richter, so I would like to have it even though we do not use AQA for ML. Eurotalk - we already subscribe to their excellent products. Looking forward to seeing the authoring version which will be out shortly. Flashsticks - seems very engaging - probably mainly for primary environments. Nice people on the stand, and thanks that they replied to my tweet! Lexicum - a new way to learn and reinforce new vocabulary. Being developed still. I was really impressed. Radiolingua - so pleased at the success Mark Pentleton is having with his company. We go back a long way! 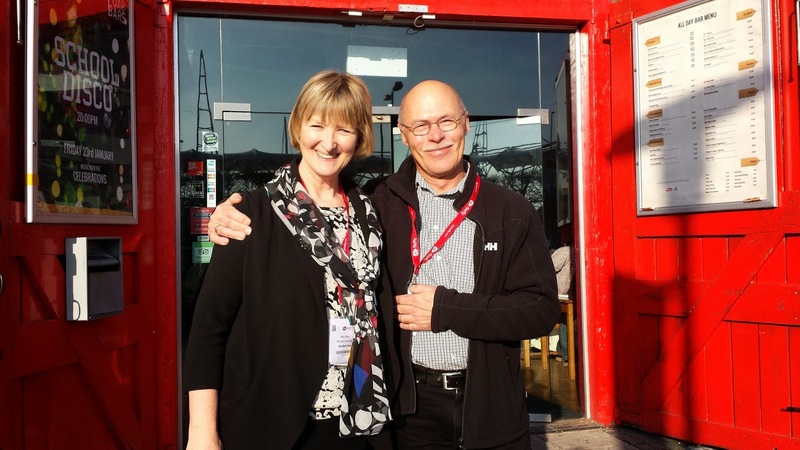 (He set up my Facebook and Twitter accounts at a past BETT show!). Nice to meet Katie! Talking Products - excellent for straightforward recordings - especially for people without access to mobile phones. I was really surprised at how cheap they were. Sorry I didn't make it to see Marta Palomerasi and Cheryl Sanchez of bilingual bookshop but thanks for your tweets! I will definitely look at your books! Online Parents' evening booking system - will pass on this idea. Route2education - engaging digital tables for primary schools. Makes me wish I worked in a primary school! Soundfield / Connevans - I always want to buy this product! Teacher wears a small microphone around their neck, and their voice comes out of a speaker placed at the back of the room. Reduces voice strain, and would be fantastic for teaching languages. Really nice to meet the Director, Phil Boswell and to know that the company is based very near our school. It was good to meet Jens Kjaer Olsen and Mr Rasmussen and his son. I am delighted that they are investigating providing an affordable way of allowing pupils to work in a 3D Virtual environment with other pupils form around the world. At the moment I am really excited about trying out a similar project with TILA and I would love to be involved with whatever they set up! I'd like to follow up the talk I saw on using 'Minecraft'. At last we met, @basbettj !!!! It was great to see you for real, and I look forward to a webinar from you! Sorry you didn't get to give your presentation Janet. I agree with you and others tweeting that having lots of so-called 'nano' presentations would be best as a way of sharing a maximum of ideas which people could then follow up they want. 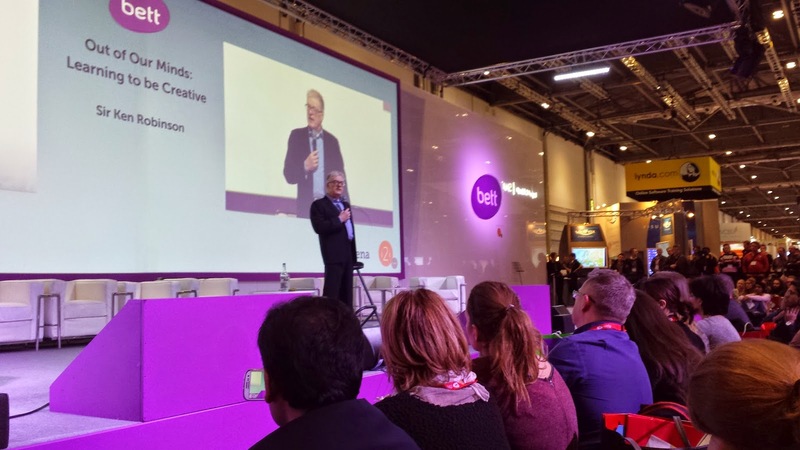 The absolute highlight for the day was listening to 'visionary' Sir Ken Robinson in the BETT arena. Chris Panting, Deputy Head at The Ashcombe, was very envious of the chance we had to see Sir Ken Robinson, and I am just so sorry that I could not get a signed copy of his book for him. They ran out of the stock just before I got to the front of the queue. Sorry Chris! The programme notes for this session were as follows: "I am delighted to be part of the international education community that will gather at Bett 2015 in London. In my keynote session, Out of our Minds: learning to be creative, I will challenge many of the test-based, standardised educational reforms being pushed globally to 'reform' education. I look forward especially to learning about how you are working creatively to transform education where you are." Schools have a narrow conception of talent. Overlooked because we are looking for something else.. Very moving advert for mind art..they deserve the publicity..
Tears in my eyes after being shown landfillharmonic video. .a must see for all.. It was like being in an evangelical meeting ... Sir Ken speaks in a down-to-earth yet eloquent way, pulling at the heart-strings as he describes what are humane 'common sense' objectives and methods in education. You felt like standing up and saying 'Hallelujah!' There is no way that I would have asked any even vaguely critical question following such an experience! And yet I know that when I have read what he has said in the past, although agreeing absolutely with him about the purpose of education and the problems in the current system, I have wondered how this would work fairly within our publicly accountable system where our aim is to give equality of opportunity and access. My question might be: How would he advise government to do the following without tests and standards: (a) establish the 'common core' (b) define a common understanding of what we should be doing 'beyond the core' (c) ensure accountability in a public service for the common core and 'beyond'. I am motivated to read more deeply and find out how he would answer. I am sure I have missed lots of things I saw and did and will add them on this page. Hope this may be helpful to others as well as a 'reminder' to me about what to pass on to colleagues! 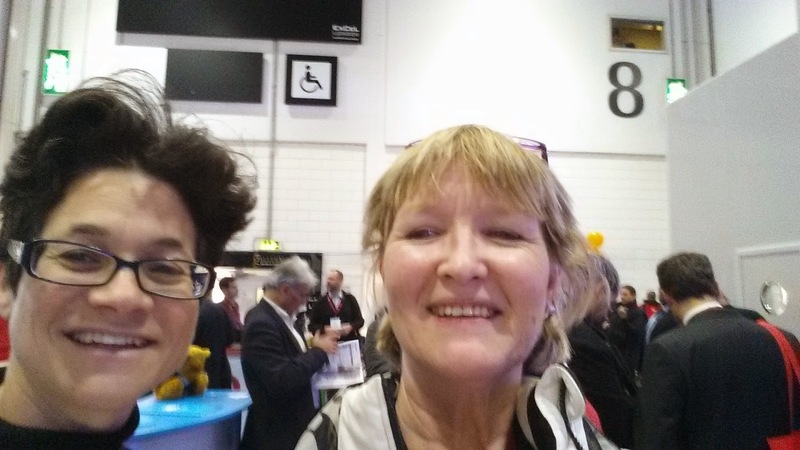 I hope I can be let out to experience BETT again next year! Great to be working rogether. Thank you, Karelia, for taking the time to share your insights with those of us who were unable to attend.